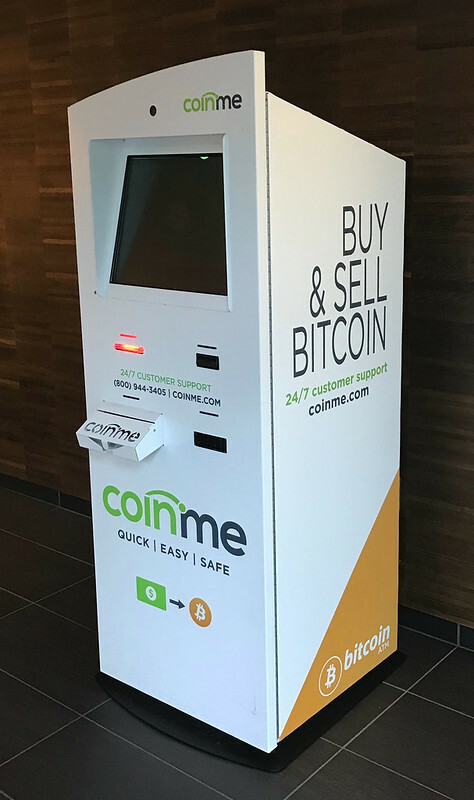 Recently a tipster informed me a Bitcoin ATM had appeared at the Metreon. Needless to say I had to check this out. If you’re looking for the machine it’s near Cafe-X, the robot espresso machine, as well as a vending machine that somehow makes “gourmet” ramen. So in theory you could trade in your Bitcoin and use it to have a meal and coffee prepared entirely by robots! Well okay, the above scenario isn’t entirely true since the Bitcoin ATM only converts Bitcoin to and from cash, which isn’t accepted by Cafe-X. I thought I’d give the machine a spin but was immediately turned off by it. To identify yourself you need to insert a state ID or driver’s license, so this isn’t anonymous at all. What’s the point of buying a stolen yacht on the dark web if the transaction can be easily traced back to me? We charge a 10% service fee for both buying and selling Bitcoin at our Kiosks. In comparison online Bitcoin trading platforms only charge around 2%, so that’s a steep markup. Think about it: depositing $200 means you’re losing $20 — almost enough for a movie ticket in the Metreon’s IMAX theater. 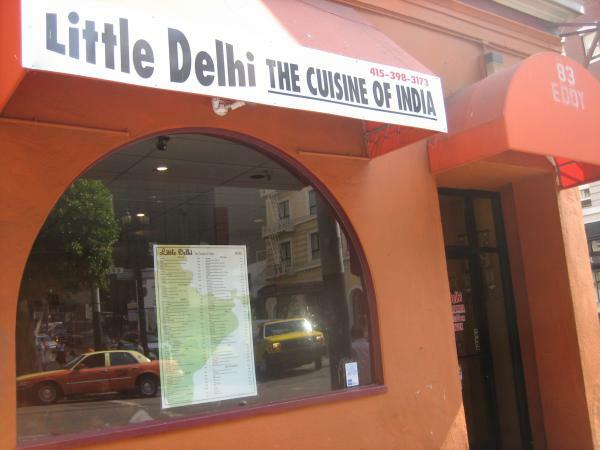 One of my favorite Indian restaurants in San Francisco is Little Delhi in the Tenderloin. Great food, reasonable prices, and they offer takeout and delivery. Can’t recommend them enough! But you’d never know how great Little Delhi’s food is judging by their completely off the rails Twitter feed. Here’s the top 5 strangest things they’ve posted on Twitter so far. Their first Tweet back in 2010 is simply the word “Restaurant.” Not a bad start — after all Little Delhi is a restaurant. Maybe a tweet isn’t the right place for this information but at least it’s true and relevant. If you visit the URL in this tweet you’ll be taken to a page where you can log in to your Netflix account. While Netflix might be useful for takeout customers who are looking for a TV show to binge on while eating, most customers probably have this information already. If not, Netflix is a quick Google search away. 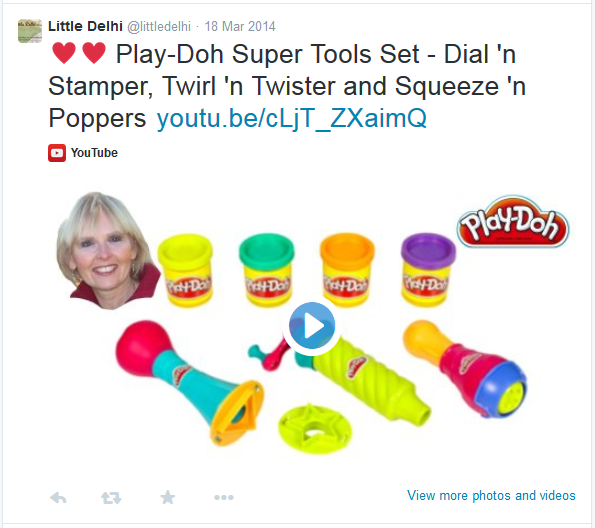 Little Delhi is so excited about this woman’s toy review on YouTube that their tweet includes not one but two hearts! Hopefully no Play-Doh extruders are being used in food preparation, although personally I don’t really care as long as they clean the Play-Doh out first. This tweet links you to an iOS app that turns photos into caricatures. I can’t even think of something snarky to say about how this could possibly be related to Little Delhi, that’s how strange this one is. Also, the app has terrible reviews. 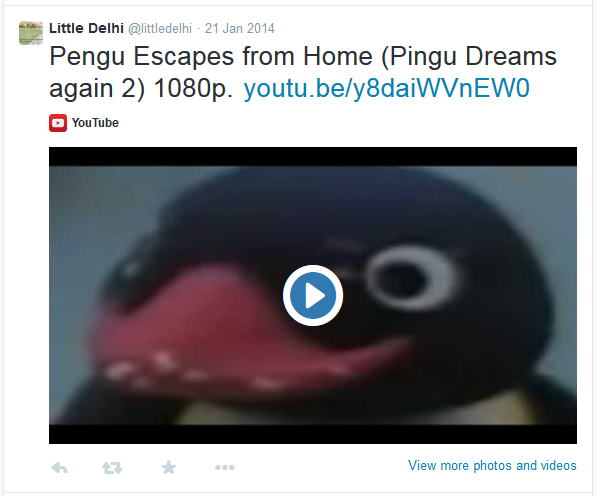 Finally, their #1 strangest tweet links to a surreal and somewhat disturbing video. The video’s creator took a certain European stop motion cartoon and edited it with new sounds and visual effects. And while I’m no World War 2 expert, I’m pretty sure that one guy’s voice is a recording of Adolph Hitler. Not normally the kind of thing one would associate with traditional North Indian cuisine. So there you have it: this has got to be the strangest Twitter feed of any restaurant in the city. If you want to see more feel free to head over to their Twitter feed yourself. But you’d might as well call in an order for curry and naan while you’re at it. 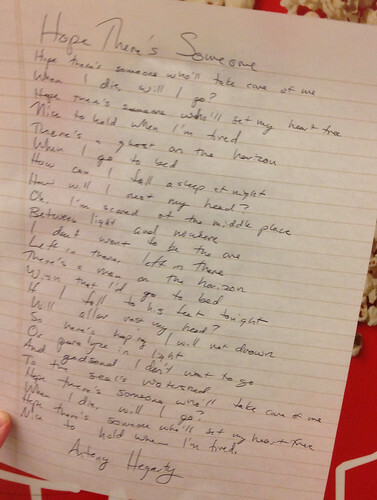 I’m not entirely certain what compels someone to write out the lyrics to the 2005 hit Hope There’s Someone by Antony and the Johnsons, then tape the page to a pole in a BART station. Perhaps they were inspired by the recent Avicii version? In all likelihood we’ll never know. It will remain as one of the unsolved mysteries of our time, just like that wooden box. Sometimes in life there’s questions that don’t seem to have concrete answers, like who shot JFK or the career of Shia LaBeouf. 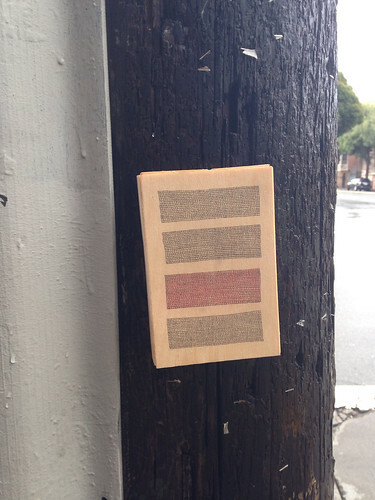 Today another such question popped into existence in the form of a perplexing wood box installed on a utility pole at 16th and Guerrero. It’s the kind of thing one wouldn’t notice easily, like a slightly misplaced item you only catch out of the corner of your eye. Why on this pole, of all places? If any answers are provided I’ll post updates. Until then, I’ll be scratching my head. Need a bed frame? Want to have terrifying nightmares? 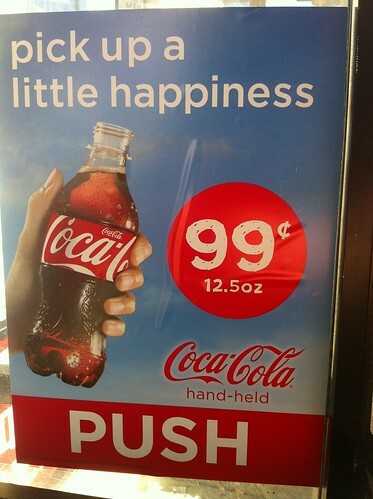 This sidewalk bargain is perfect for you! 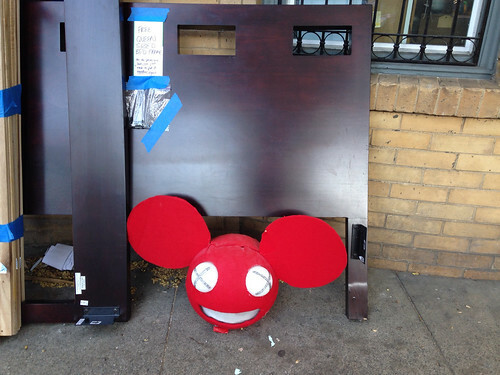 Collect it now, it’s near 16th and Dolores. 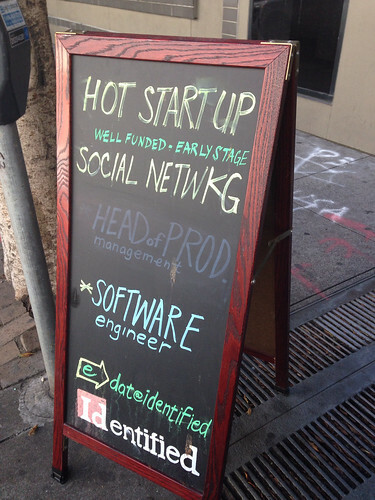 Are sandwich boards a good way to hire software engineers and high-level managers? Now to be fair, Craigslist isn’t the perfect way to hire people. But this feels a little informal. Still, it’s fancier than a vinyl banner or a piece of cardboard stapled to a telephone pole. So there’s that. 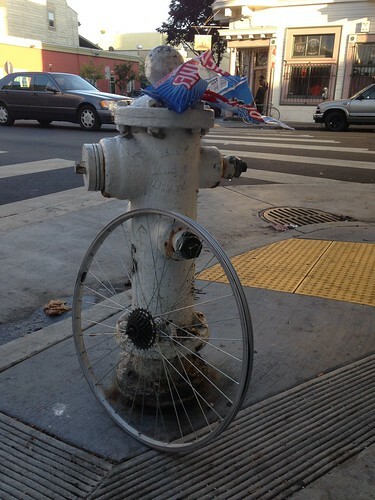 A bicycle wheel leaned up against a fire hydrant with a partially used pack of Red Vines on top. Pretty much says it all about San Francisco, doesn’t it? Remember when Green Day’s pop-friendly rock took over the airwaves in the mid 90′s? Well, times have changed. 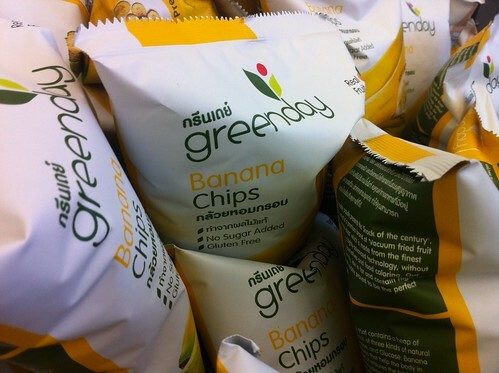 Billie, Mike, and Tre must have fallen on bad luck, as they’re now licensing their band’s name out for banana chips. If you want to be an American Idiot and try these yourself, they’re sold at Walgreens.